Our Buyers Pitch goes into the next round and this time it will be the XXL version. Again the Food Tech Campus will be visited from EDEKA merchants and they are all on the hunt for the newest and most innovative products! 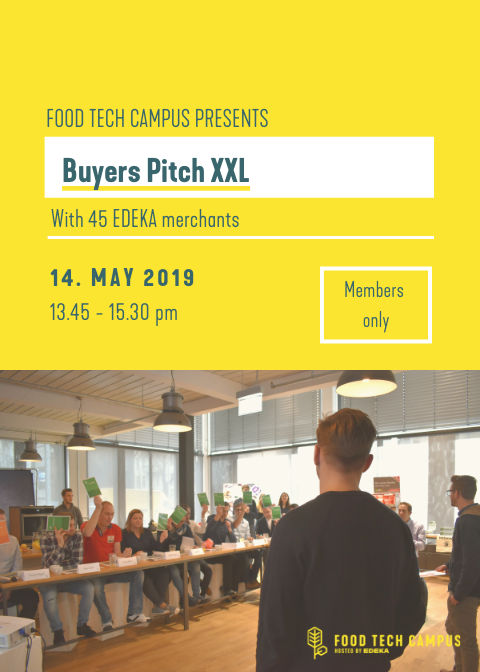 Here you have the opportunity to present your product and sell it to 45 EDEKA merchants! Your pitch is followed by an exclusive speed dating round with the merchants, where you can collect valuable feedback. Members can apply to pitch, for more information see our Member Portal. This event will be in German. All other members can join to see the pitches!